​Gina Hoegh is the owner of BBS. She has over 20 years experience working in the health and fitness industry. She began her journey in physical therapy in 1999, helping patients and clients to recover from injury or improve their quality of life. Her love of fitness and sports inspired her to become a certified personal trainer through NASM, and attain her CSCS (strength and conditioning specialist) through NSCA. This passion turned into a new career path after she received her BS in Sports, Wellness, and Fitness Management in 2010. Gina planned on having her own clinic, but the biggest push came from continued insurance restrictions in physical therapy. Gina was limited in her ability to treat her clients especially with the one-on-one care they needed for optimal results. The biggest influence in her career came when she was introduced to The Mattes Method Active Isolated Stretching (AIS). She is very passionate about educating others on the amazing benefits of this method and had the opportunity to work and teach alongside the developer himself, Aaron Mattes. Gina knows that health goes beyond exercise and true health begins within. The body cannot heal or function normally without the building blocks of proper nutrition, stress management, and overall wellness. As a life-long learner, Gina continued her education with a MS in Exercise Science and Health Promotion and is trained as a health and wellness coach through Wellcoaches. She thrives on solving the puzzles that often arise with her clients. She feels everyone deserves and often can live a quality life that is painfree and full of joy! 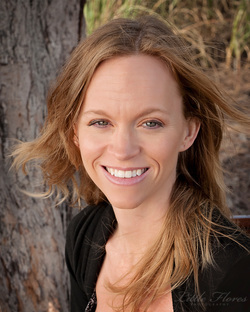 Krystal is a Nationally Licensed Massage Therapist, demonstrating a higher standard in her field. Each massage integrates Krystal's skills, experience, and your needs to ensure complete relaxation and satisfaction. Various techniques such as Therapeutic, Swedish, Deep Tissue, Neuromuscular, and Active Isolated Stretching are utilized to help you feel your best. With extensive knowledge of the body, Krystal specializes in Orthopedic Massage to target problem areas and bring you relief of painful complaints. Ben is a Level I Crossfit Trainer and an Active Isolated Stretching Practitioner. He specializes in training "the guys" of the studio. Bringing a background of Crossfit, Ben makes the programs intense, effective, safe and fun.